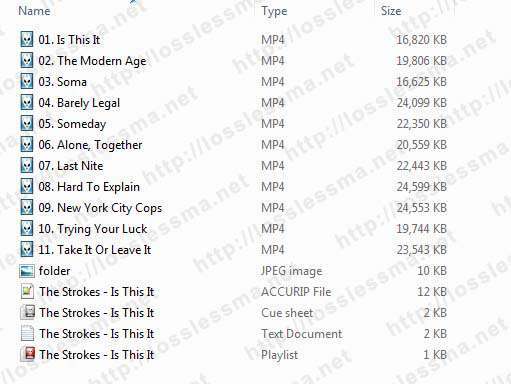 I see many sad faces of guys that still can’t find a proper way to split single lossless image files (FLAC, APE, WV) into common tracks files. But, what’s problem? 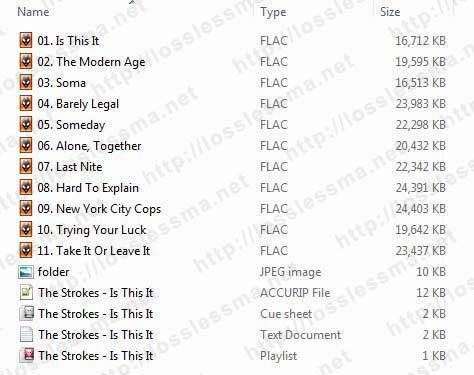 a lossless single-file album image is nice and cool. YES! but some people just want to play a couple track songs on their mobile devices or simply many do not like the appearance of a big lossless image file. The following tutorial is only for Windows users. Linux users actually can use WINE to run Windows programs. For Mac OS X users see this tutorial. 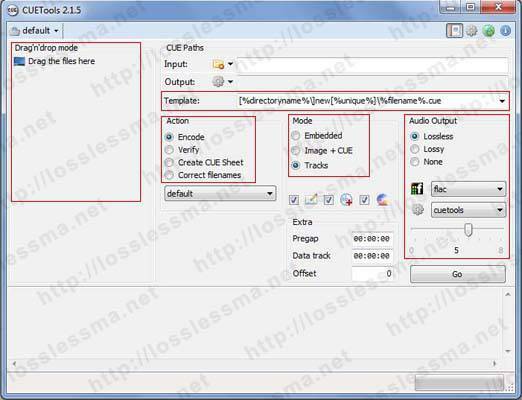 CUETools is a great tool for convert, split and verify lossless files. 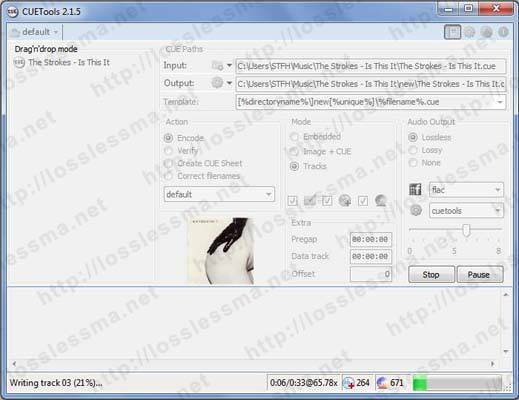 Convert a single-file album image with CUE sheet to a file-per-track album image. 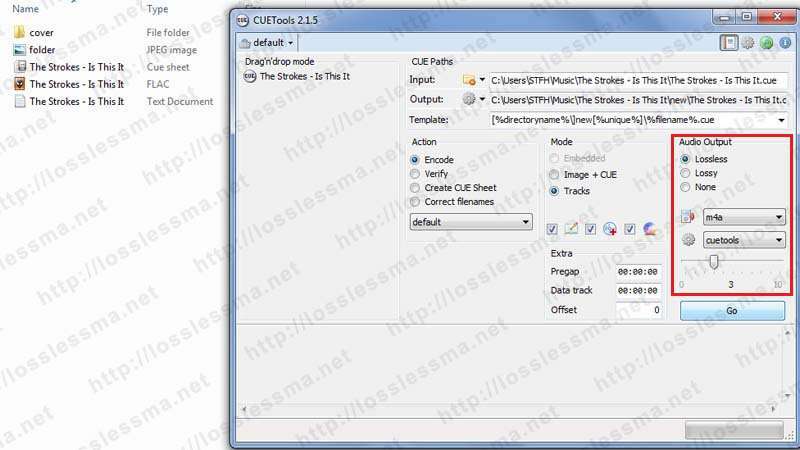 Convert a single-file album image with CUE-sheet-per-album to a single-file album image with CUE-sheet-per-track album image (feature request). 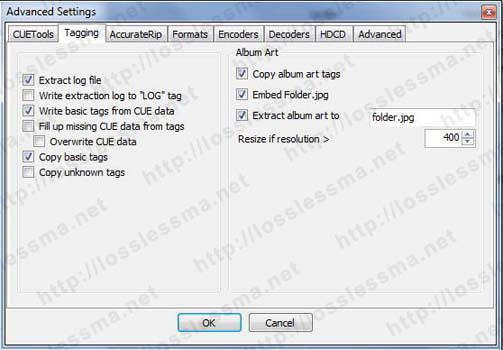 Convert a file-per-track album image with CUE sheet to a single file album image. 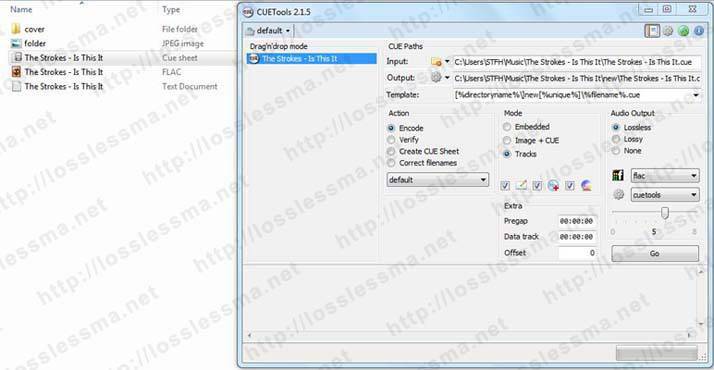 Convert a file-per-track album image without a CUE sheet to a single file album image with simple CUE sheet. 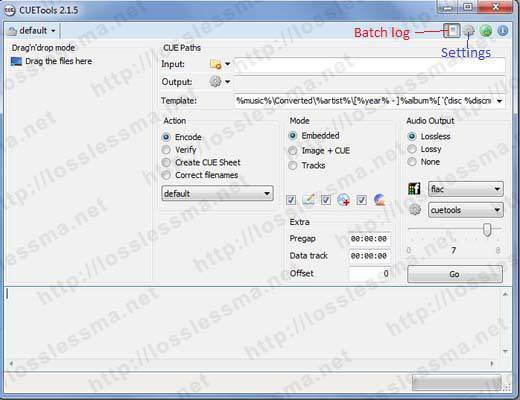 Convert an album image from one lossless codec to another, preserving CUE sheet structure. Verify a (possibly non offset-corrected) album image against AccurateRip database. Apply offset correction to a rip made without offset correction. 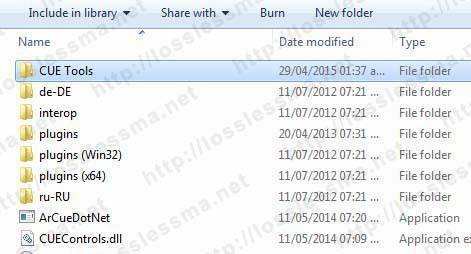 Prepare an album image for burning with software, which does not handle drive write offsets, by applying offset. Extract an album image directly from a RAR archive without unpacking it, and save it in a different format. 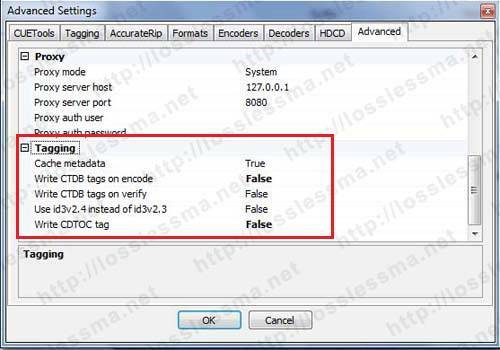 Fix filenames in a CUE sheet, if the files were renamed or converted to a different format. 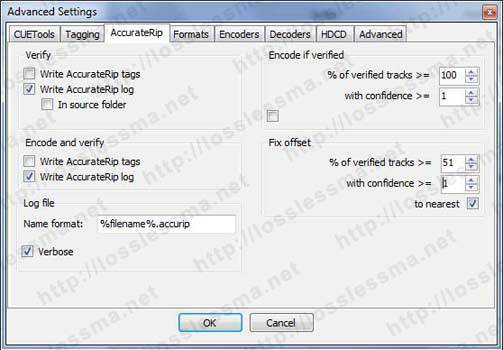 Compress to LossyWav, creating a lossy output + correction file. 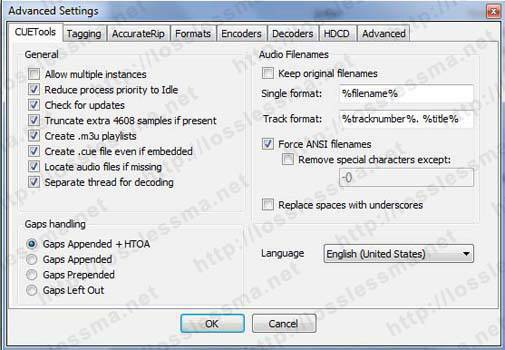 Convert a HDCD image to 24-bit / 20-bit / LossyWav 16-bit audio files (irreversible). 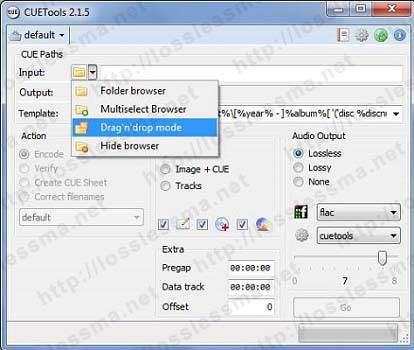 Convert an album image with minor audio errors to one without errors, using correction files in the CUETools Database. For now only we will use it for split lossless image files. Download the current stable release 2.1.5 from the official page or directly from here. Extract it and place it anywhere you like. If you want to run it as a portable application from a USB stick, remove the file called user_profiles_enabled, so that settings will be saved to the same folder instead of user profile on your local computer. Change Input to Drag ‘n’ drop mode. Activate Batch Log then hit Setting button. If you decide to update to a new release of this program don’t forget backup your settings-file first. And wait until the process ends. 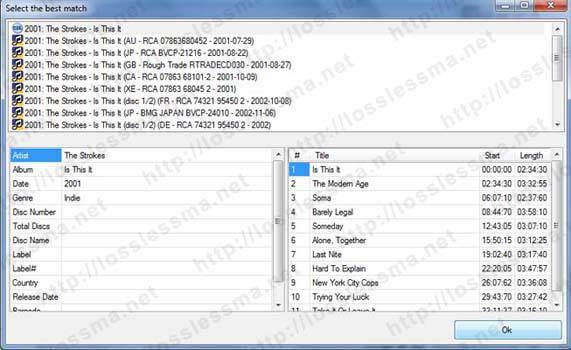 Containing the lossless image splitted plus m3u playlist, new Cue Sheet, front cover, same logfile extraction and Accurip file (verification).